Generally I figure out where to stand in relationship to the piano seconds before I actually perform. I want to be able to see the pianist’s fingers out of the corner of my eye and I want to be sure the pianist can see my scroll and bow so that I can lead entrances. But a little premeditation can go a long way! As I prepare for a group class on performance I decided to do a little research. Thankfully the interweb has thousands of images of violinists in recital mode. Here are a few images which offer advice from the pros as to where to stand. Typically the violinist stands right next to or just behind where the pianist sits. 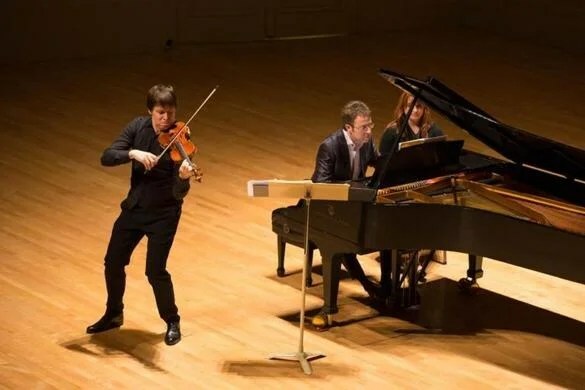 It is hard to position oneself so the audience can still see the pianist, but the site line of the violinist to the pianist and vice versa is unobstructed. 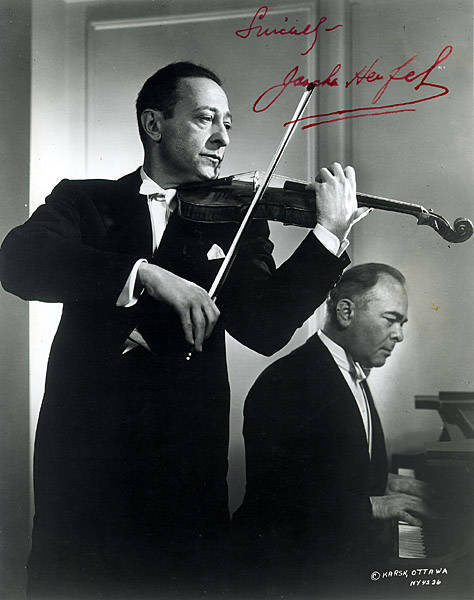 Below is a collection of images showing famous violinists and their pianists.